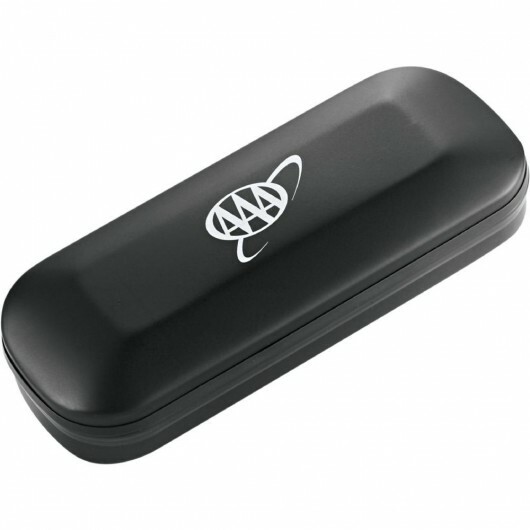 A suitable gift for anyone with a vehicle - these gift sets are smart. 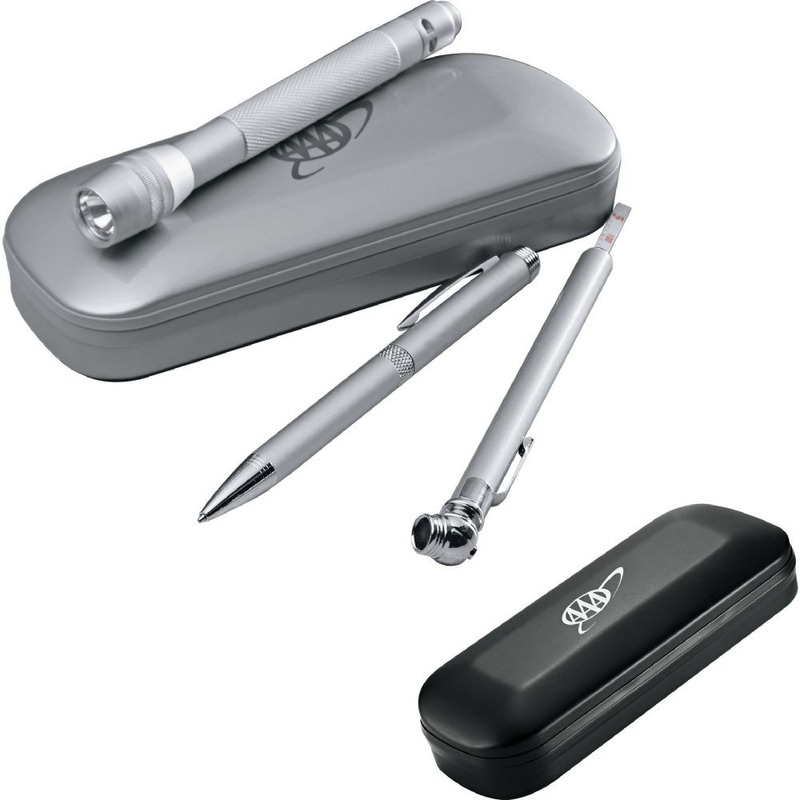 A gift set that you will always want to keep handy in your glove box. 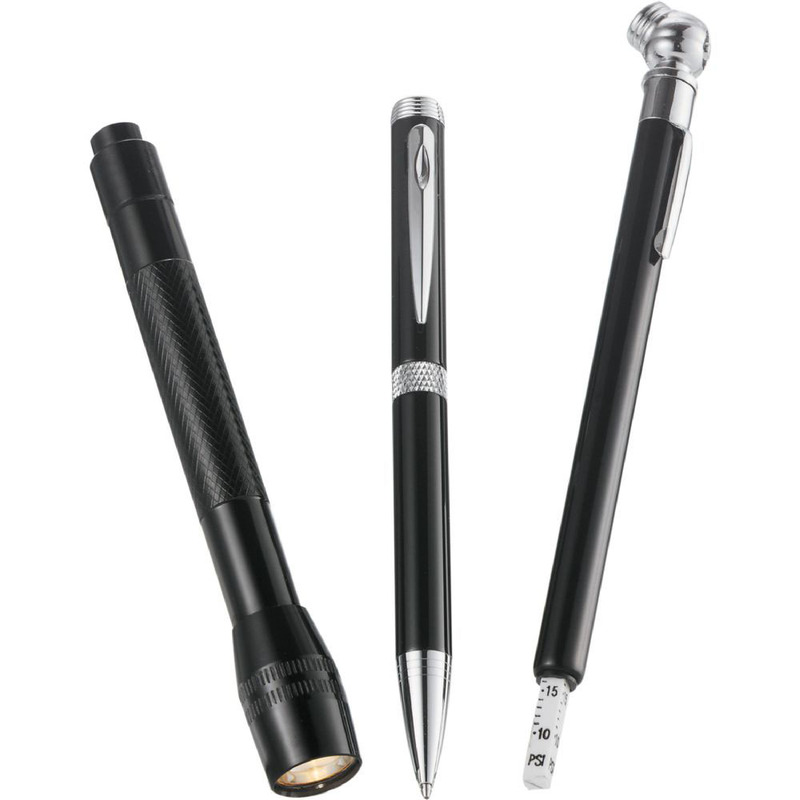 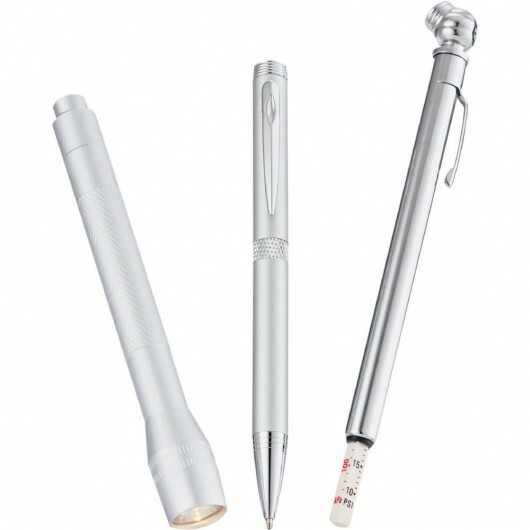 They're a 4 piece set that includes an auto case, flashlight, tire gauge and a metal ballpoint pen. The contoured case holds all of the gift set components, the flashlight includes 2x AAA batteries and the tire gauge measures up to 50 psi. 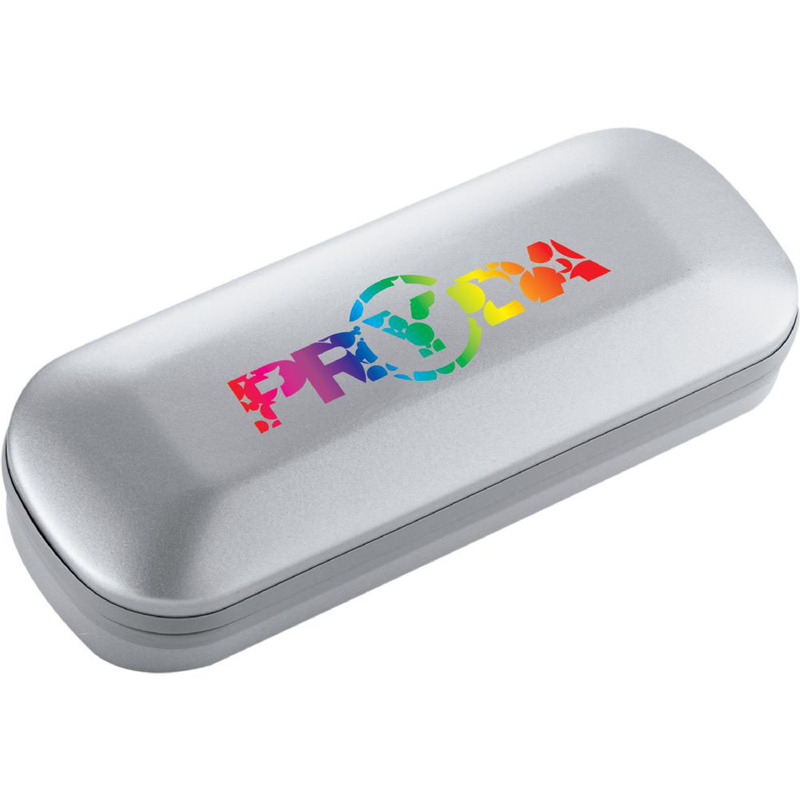 Branding is located on the carry case.